Indira Gandhi Canal Rajasthan: Indira Gandhi Canal Project (इंदिरा गाँधी नहर परियोजना ) is one of the most gigantic projects in the world aiming to dedesertify and transform desert waste land into agriculturally productive area. The project objectives include drought proofing, providing drinking water, improvement of environment, afforestation, employment, rehabilitation, development and projection of animal wealth and increasing agricultural produce. The project construction commenced in the year 1958. Though the project is only partially complete it has shown remarkable success. 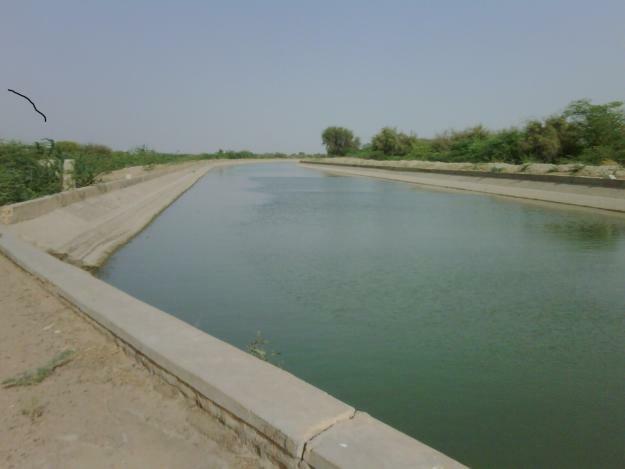 Indira Gandhi Nahar Project was designed to utilise 9,367 Mm3/yr of the total 10,608 Mm3/yr allocated to Rajasthan from the surplus waters of the Ravi and Beas rivers. The construction of the project has been divided into two stages. Indira Gandhi Canal consists of the Rajasthan feeder canal (with the first 167 km in Punjab and Haryana and the remaining 37 km in Rajasthan) and 445 km of the Rajasthan main canal which is entirely within Rajasthan.This canal enters into Haryana from Punjab near Lohgarh village of Haryana,then running in western part of district Sirsa it enters into Rajasthan near Kharakhera village of Rajasthan. The IGNP traverses seven districts of Rajasthan: Barmer, Bikaner, Churu, Hanumangarh, Jaisalmer, Jodhpur, and Sriganganagar.